Elections aren't far off in Zimbabwe - likely just three or four months away. The British Embassy and its partners here in Zimbabwe have welcomed the commitments of the government of President Emmerson Mnangagwa to ensure those elections are free, fair and violence-free. But commitments must be made real. We and our partners continue to urge President Mnangagwa to implement the reforms necessary so that free and fair polls can be held and Zimbabweans can enjoy the future the deserve. 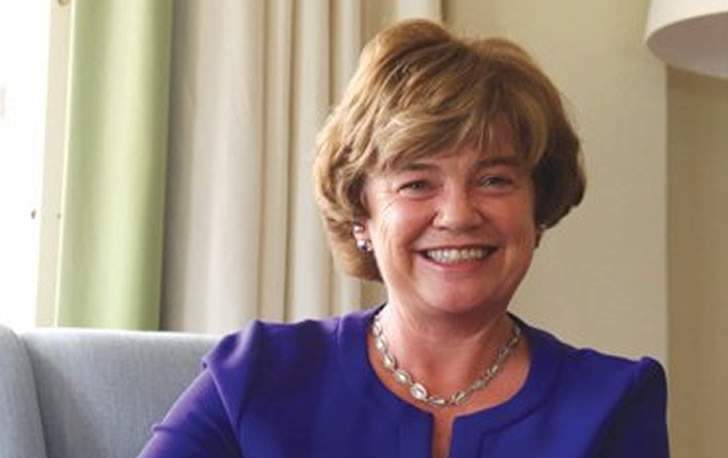 As the UK's Ambassador to Zimbabwe, Catriona Laing, says, a successful election will be a "key milestone" in allowing Zimbabwe to return to normal economic and political relations with the international community. She added: "Going forward it will be very important that there is full transparency around the voters' roll and the ballot papers, and that the necessary legal frameworks are updated in line with the constitution. Ultimately it is for the people of Zimbabwe to feel confident that they can vote for the party and individuals of their choice without fear or intimidation." Embassy officials have been meeting representatives of all the main political parties here regularly (as is the job of any embassy) and we've delivered exactly the same message to each party. To the government of President Mnangagwa, the UK has highlighted at the highest level the need for reforms before the polls: our Foreign Minister Boris Johnson made that position clear when he met Finance Minister Patrick Chinamasa in February as (a few weeks earlier) did our Minister for Africa Harriett Baldwin when she visited Harare. This has been our message right from the start: that it is only free and fair elections that will open the door to full normalisation of relations. We have urged the government to allow in international observers - and we've been encouraged by indications that this may happen. As those who follow our social media accounts will know, we've encouraged the new administration to make sure ALL human rights violations are tackled decisively and transparently. We have taken up, and will take up, any instances of political violence with the authorities, wherever in Zimbabwe these occur and whoever is behind the violence. Because voter registration and the compiling of a voters' roll is so crucial in the holding of free and fair polls, we've been monitoring the biometric voter registration process since it began back in October last year. Our teams took the lead in travelling out to rural areas to see the reality of how the registration process was progressing far from the capital Harare. The teams gave feedback to the Zimbabwe Electoral Commission, the Minister of Justice and to civil society organisations. The UK and other donors work together to provide extensive financial and technical assistance to a wide range of civil society organisations in Zimbabwe. Our support enables these organisations to hold the state to account for its use of resources and its respect for human rights and democratic principles. Already our support for civil society is having an impact in improving access to media and information for Zimbabweans. UK support is key in promoting human rights and equality in Zimbabwe. Through it, we are improving access to justice for the marginalised - and we're helping push for transparency and citizen engagement in the use of public resources. As far as elections are concerned, support from the UK and other donors will allow domestic election bodies to carry out their critical work to provide oversight of the process and environment. Crucially, we've already supported a programme of litigation on election issues - to make sure that electoral practice is in line with the constitution. Said Ambassador Laing: "Elections are of course just one part of the government's constitutional commitment to good governance, human rights and rule of law. We look forward to seeing ongoing progress in all these areas as part of constructive dialogue with the government of Zimbabwe, its commissions, the opposition and civil society."